At TheMLSonline.com, home search is our specialty. Explore the tools available in the search section and configure a search criteria that meets your needs. Search by area, price, beds, baths and more. Creating a home search account allows you to save your favorites, rate homes and receive email notifications when homes that match your criteria hit the market. Once you've found a home you like, just click the Request a Showing link! We have the ability to show most homes on our site, often in as little as two hours. Having an experienced Realtor on your team can make the difference when it comes to finding the right home, getting the best price, and getting the contract terms that meet your home buying objectives. An experienced Realtor will draft the terms of your offer at your directive and explain your rights as a buyer. Taking the time to explain each page of the purchase agreement, as well as disclosures and addendums, are all part of your Realtor's responsibilities. Talking with a mortgage professional about how much home you can afford should be one of the first things on your home buying list of to-do's. Having a lender's pre-approval letter in hand means you'll be ready to act when you find the home that's right for you. Your Realtor can recommend a mortgage lender to help you determine a monthly mortgage payment that fits your budget. That way, you can narrow your home search to homes that meet your financial parameters and eliminate any surprises as to how much home you can comfortably afford. Once you've found the home that's right for you, your Realtor will work with you to draft an offer to purchase. Your Realtor will explain your rights and obligations as a buyer. This is your chance to ask questions about things like earnest money and the home inspection process. Once your offer is accepted and all contingencies are removed, your Realtor will work with you, your title company and your lender to coordinate your closing. At TheMLSonline.com, helping buyers is what we do! Every year, more than a million active home buyers visit TheMLSonline.com to search for local MLS listings. But we're more than just an online real estate resource... we're a local, full service real estate company with local Realtors serving the greater Seattle-Tacoma area! When you're ready to take your search from the website to the home site, we're here to help you every step of the way. 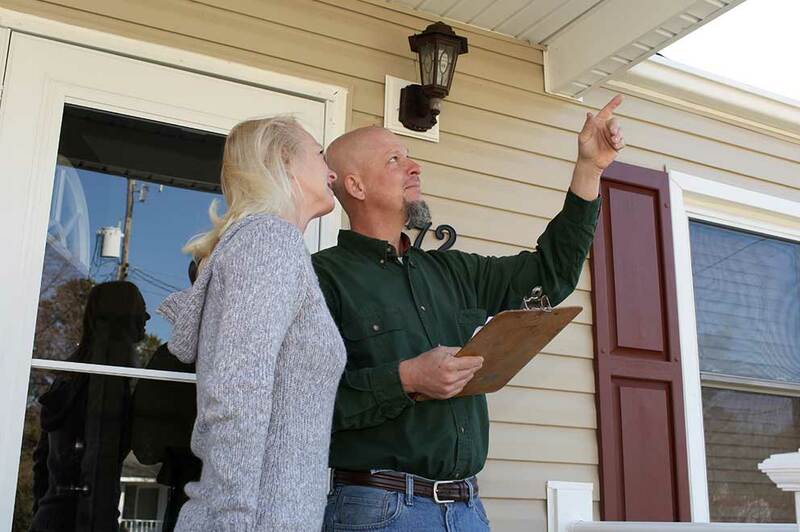 Home inspections are an integral part of the home buying process. Hiring an experienced professional home inspector is highly recommended and the best way to ensure that you're making an informed decision about the home you're purchasing. As the buyer, you have the right to inspect the property before you purchase. A professional home inspector will examine the roof, electrical, heating/cooling systems, plumbing, appliances and more. Once you've found a home you like, your Realtor will help you draft an offer and explain your right to conduct a home inspection. Once your offer is accepted by the seller, a pre-determined amount of time is allowed to complete your home inspection (typically three to five days). The inspection process often takes two to three hours to complete. Some buyers may wish to be present during the entire inspection, while others choose to simply attend the last portion of the inspection, where the home inspector's findings can be discussed on site. Attending your inspection is the best way to know the true condition of the property you're purchasing. Once your home inspection is complete there are several common ways to proceed: accept the home in its current condition, ask the seller to make repairs, ask the seller to provide compensation in lieu of repairs or renegotiate your initial offer price. If the seller is not willing to make requested repairs or agree to a satisfactory resolution as proposed by the buyer, the buyer can then determine whether or not to proceed with the purchase. If not, the buyer should be entitled to receive a full refund of their earnest money. Got a question about buying? Your request has been received! Someone will contact you soon. Disclosure: TheMLSonline.com website contains advertisements and endorsements of affiliated industry service providers including: mortgage lenders, staging services, home inspectors, title companies and moving services. TheMLSonline.com, Inc. may receive compensation as a result of these advertising and marketing agreements. As a client of TheMLSonline.com, Inc. you have the right to select a service provider of your choosing and are not required to seek the assistance from any advertiser or affiliate of TheMLSonline.com, Inc.